i guess whether long hair or short hair it is important to maintain good and healthy hair and simple styling is needed. When i do my hair styling even though i have straight hair, i will blow dry my hair and then apply hair treatment products. However, it is hair to find a product that is not too oily that weight down my hair. 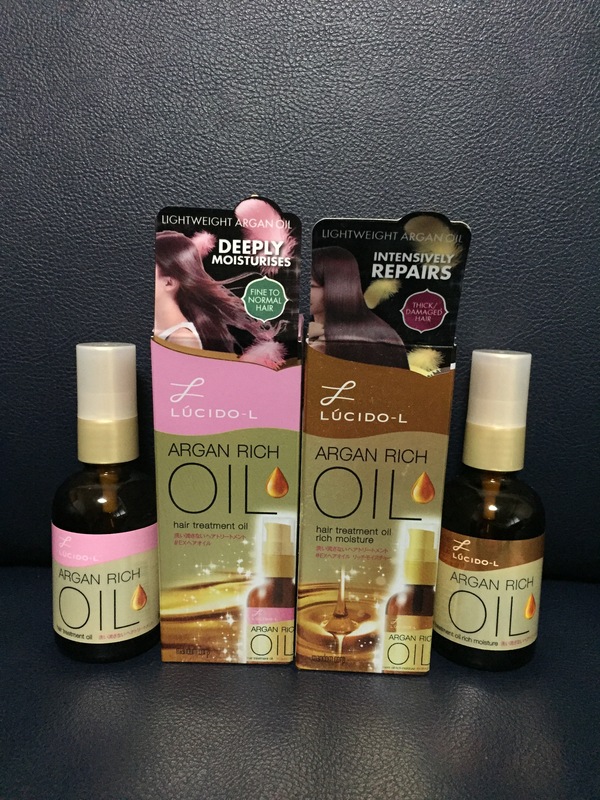 i am glad that after trying out Lucido-L Argan Hair Treatment Oil, it is not the kind of hair product that weight down my hair. i love how it is absorbed into my hair and also leave a sweet gentle scent. hmm… so how does it work for my hair? The texture of the product is light-weighted and it absorbs quickly into my hair . The technology of this product is amazing because Argan oil are compressed under 10,000m deep sea pressure, the beneficial nutrients are locked in to beautify our hair. Argan oil is a treat for our hair. What is the secret behind our featherlight formula? Using Japan technology, Lucido-L Argan Oil is compressed at 10,000m deep sea pressure to increase surface area of each molecule. This boosts quicker absorption and allows the argan oil to spread easily, thereby coating each hair strand with a light and elegant smooth finishing. One redemption per person, maximum 2 redemptions per address. Please fill in carefully. Incomplete entries may be deemed as invalid. Thank you so much . Love all of you!